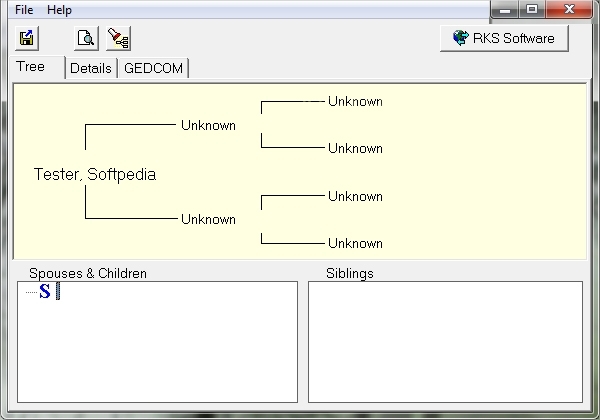 When you need to view the data from .GED files, dedicated GEDCOM File Viewer Software is essential. You can download them for free, and they are equally easy to install. There are some software which can help you to open the files directly while there are others which import feature to get the files from the content. 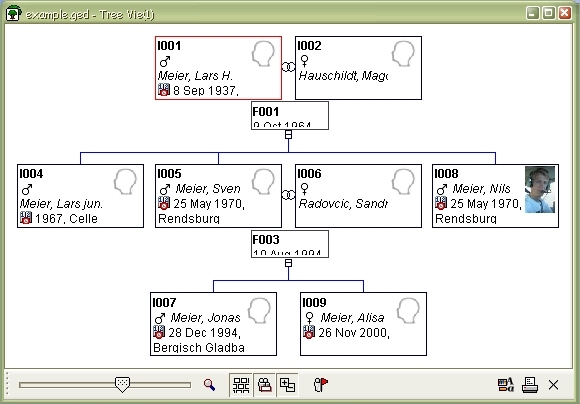 A simple and easy to use software, GEDCOM Viewer is perfect as a family tree viewer software. 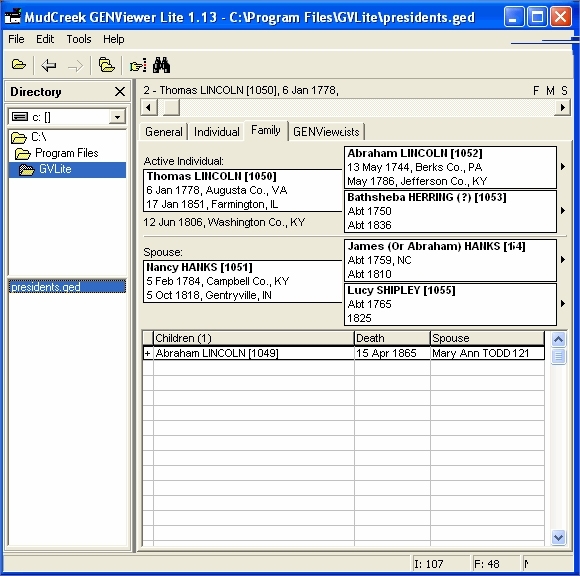 Genealogical Data Communication or GEDCOM files can be easily viewed with this software without damaging the original .GED files. details can be easily be copied or edited. the family tree can contain the details of the relationship clearly. Can open other formats of files like PAF, TMG, SUB, PJC, FDB etc. can import as many files as you want. show the detailed family tree. Can include details of ancestors, descendants, their DNA structures, Y chromosomes etc. 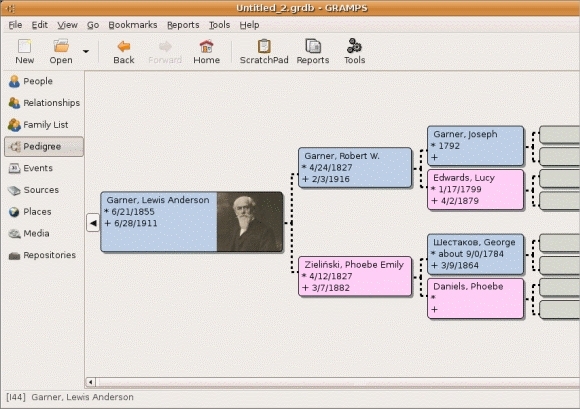 Include Family Tree, Geography, Table, family timeline etc. perfect for genealogy researcher, hobbyist or family historians. editing and saving data is possible. view the family tree or create your own. easy keyboard shortcuts to make editing simpler. get data in Pedigree View or Fan Chart View. 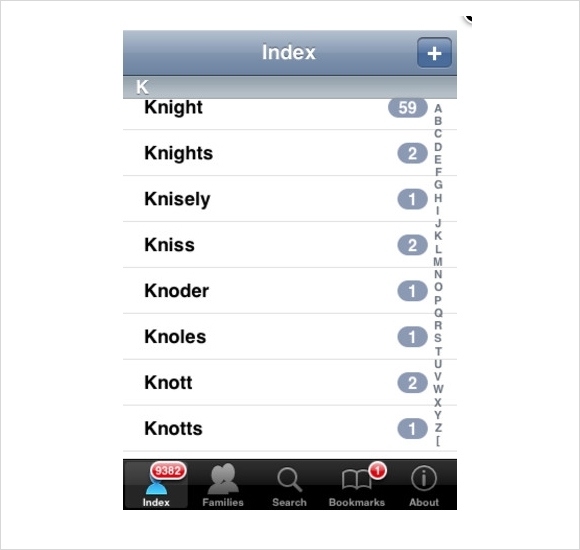 locating non-standard names and date forms. detecting the missing as well as the dead links. you can bookmark any information within the family tree. UTF-8, ANSI, and Unicodere the three encoding settings available for this. change the display font as per requirement. 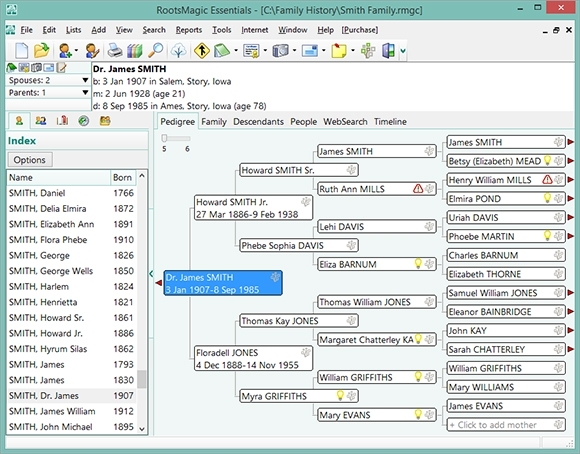 A free genealogy software, RootsMagic Essentials will let you create the family trees easily. pedigree view gives it an interesting interface. When you need a method for recording the family tree information, it is necessary to use the Genealogy software. It supports unlimited entry of data and resources to keep on maintain the family tree.